Trump's Space Force is described as a high octane, kinetic thrill ride blending over-the-top science fiction adventure with political satire and humor. 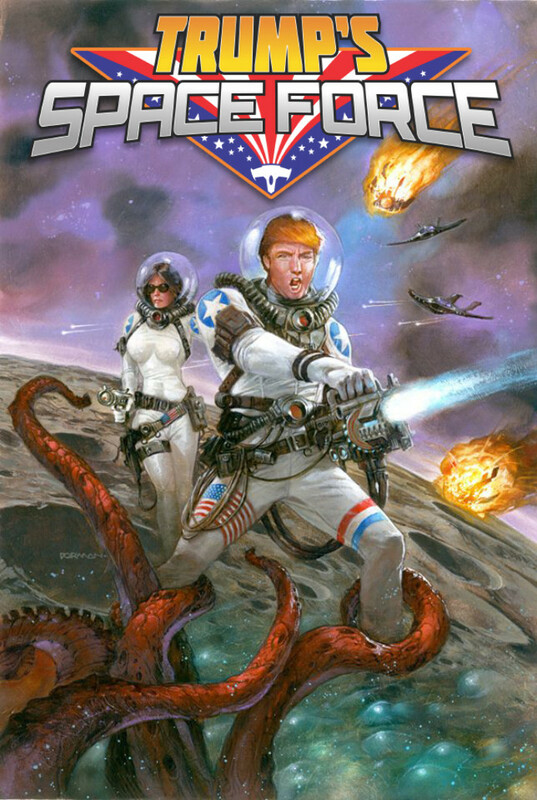 With the announcement of the real-life Space Force becoming a reality and the current state of the comics industry catering to a one-sided ideology, the team behind Trump's Space Force wants to deliver a quality book that tells a great story, captures the current zeitgeist, and entertains with dynamic art. If you remember two months ago, President Donald Trump directed the Pentagon to establish a sixth branch of the U.S. military called the “space force” to ensure American dominance on the high frontier. While this sounds like the most ridiculous yet awesome idea ever, a group of conservative creators has decided to take that idea and run with it. An Indiegogo project led by artist Timothy Lim who is known by his Twitter alter-ego ‘Donald J. Thump’ a cartoon bunny parody of the president. 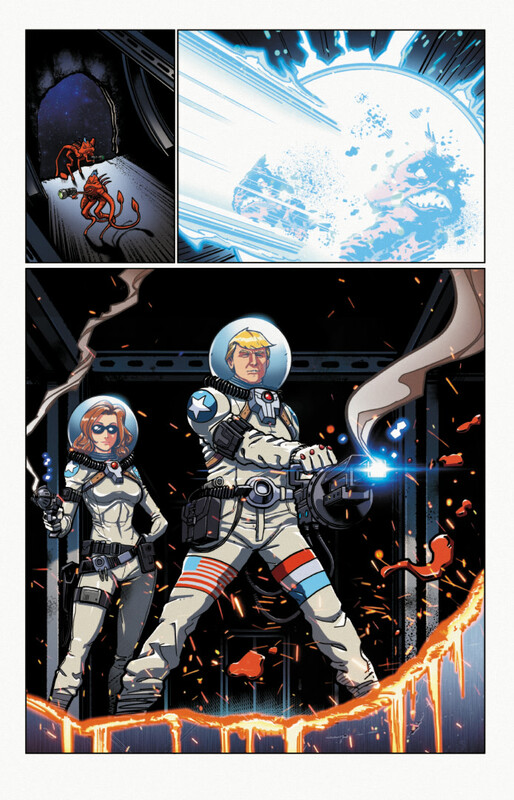 With the help of writer Chuck Dixon, colorist Brett Smith, Dave Dorman, and Mark Pellegrini; Trump’s Space Force is described as a high octane, kinetic thrill ride blending over-the-top science fiction adventure with political satire and humor. 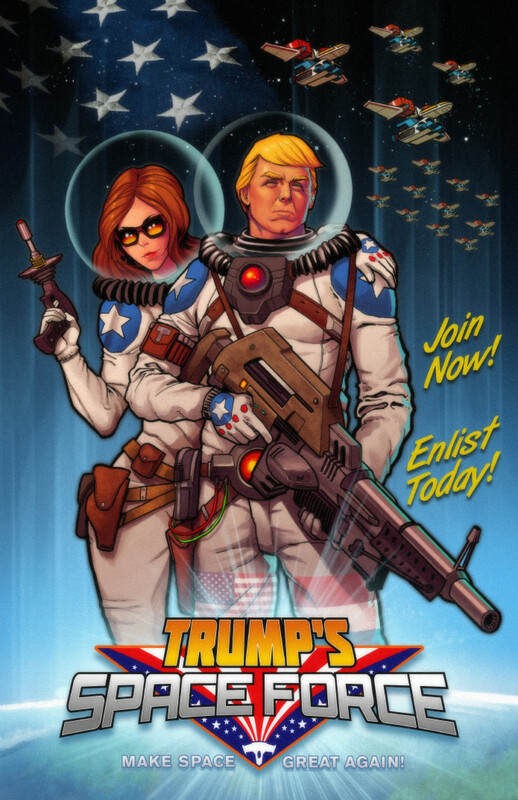 With the announcement of the real-life Space Force becoming a reality and the current state of the comics industry catering to a one-sided ideology, the team behind Trump’s Space Force wants to deliver a quality book that tells a great story, captures the current zeitgeist, and entertains with dynamic art. With 3 weeks remaining on the project, it has already met its goal of $15,000 with $36,000 committed from over 700 backers as of this writing.